The BlackBerry N Series has shown up on camera, proving that RIM still has love for the QWERTY keyboard. We all know that the BlackBerry 10 operating system will make its debut next month alongside a few new handsets. Among those will be the BlackBerry Z10, but if you thought the new lineup was only going to be about touchscreens, never fear, the N Series is here to keep the QWERTY keyboard alive. 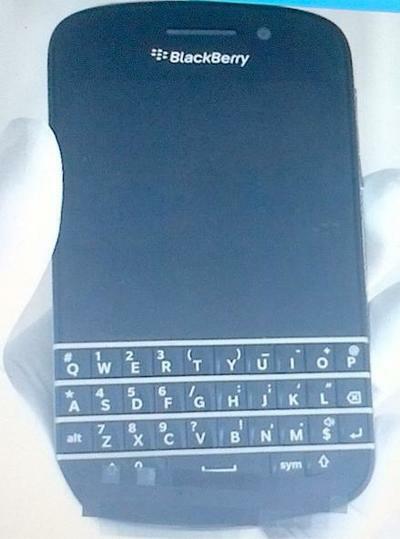 As CrackBerry pointed out when it posted this image, the keyboard has a look reminiscent of the Bold 9900. Also making an appearance over at CrackBerry was a family portrait of the Z10 and the N Series, but also in tow was a mysterious white QWERTY keyboard device that no one has heard anything about yet. Judging strictly by the looks of the white mystery device, our first inclination is that this will be a budget device to help bring BlackBerry 10 to the masses. RIM desperately needs to recoup some of its lost marketshare, and making sure that BlackBerry 10 devices are available at every price point is going to be the only way to do that. BlackBerry 10 will get its official kick-off in New York City on Jan. 30 when all should be revealed.